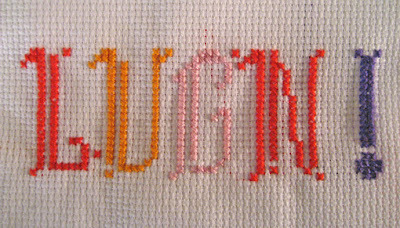 2007 november | Hello Craft Lovers! The Christmas Extravaganza was great! The SewJunta ”Les femmes tricoteuses” where all there, Anna from My Knit sensations and many more. 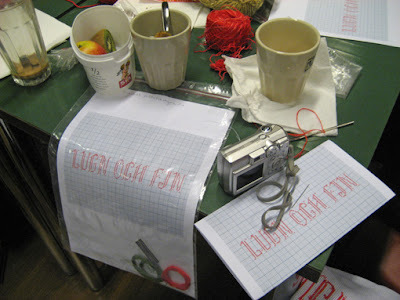 Tonight it’s a crochet & knit Christmas Extravaganza at Stockholm Kulturhuset (Culture house) . I had to start with my Christmas presents. 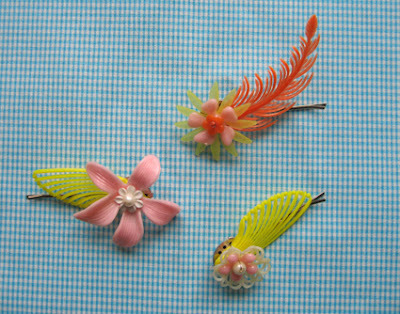 Made more hair clips out of vintage plastic flowers and wire. Try to get a 50′s feel to them. Every year I seem to give the same gift to everybody – maybe this is ”the gift of the year” :-) haven’t decided yet. They are very fun to make. 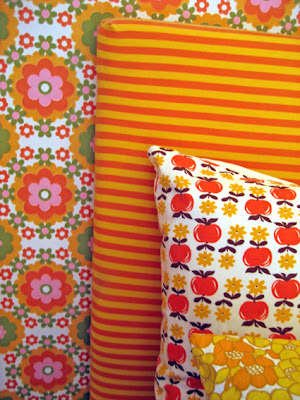 I adore bright colored patterns (and I like to mix them). In the back you see my beloved bedroom wallpaper. A flea market find from Amsterdam. 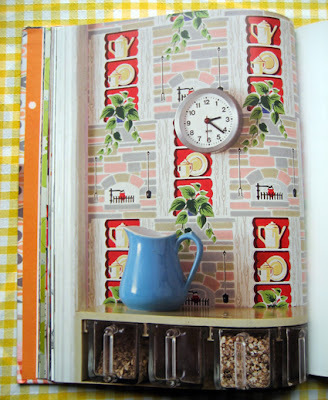 It’s a vintage kitchen wallpaper, presumably from the 60′s or 70′s. It is my favorit pattern of all. 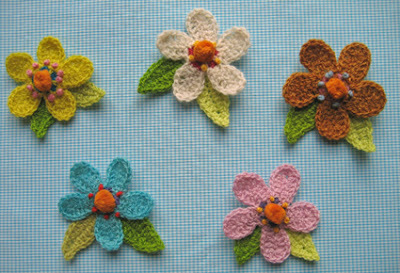 Suddenly I thougt it looked little like a crocheted old-fashioned beadspread – and then that night was spoiled:-) I had to make a test. 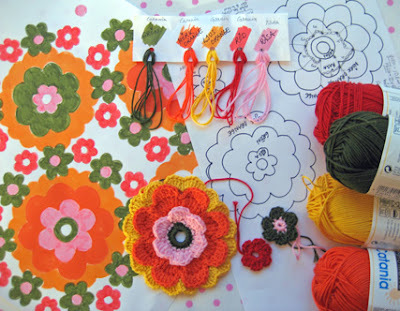 Traced it and made a sketch, found the right colored yarn in my boxes and started to crochet after the traced flowers. This is how far I came with the project for now. I’m not sure if I like the big flower. Going to try a couple of other ways to solv it, less three-dimetional. 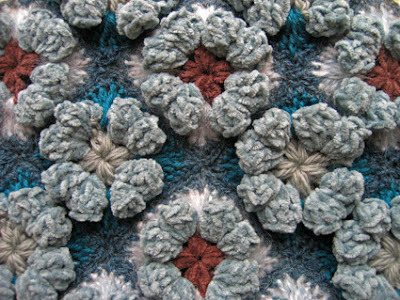 Working with granny squares and experimenting with the texture using different thicknesses and some effect yarns. This one became very bulky, but I like it. Will se what I do with it later… have crocheted 24 so maybe a bag. 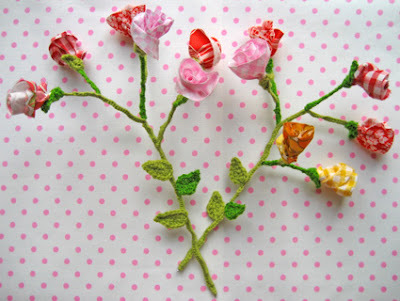 Visit my friend Annas knittingblog at My knit sensations, she has the most fabulous color sense! Made some hairclips out of vintage plastic jewelry flowers from the 50′s using thin iron thread so nothing pops off. 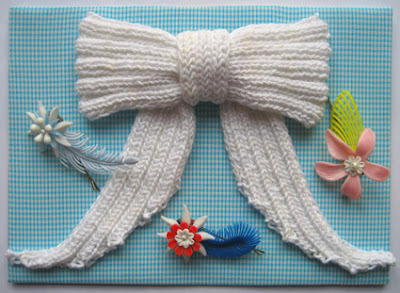 Knitted a brooch, shaped as a bow, in white cotton. 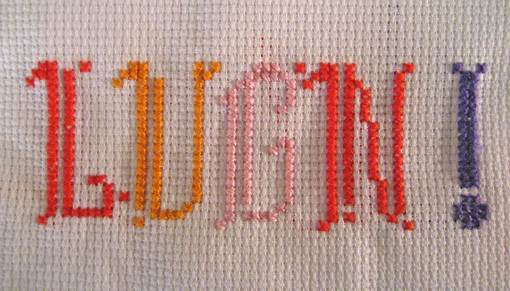 Using a pattern from Rachael Matthews as a base but I change it a little. 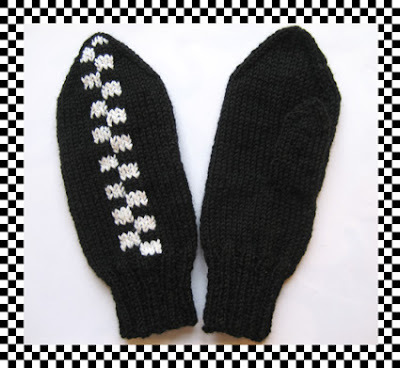 (all knitted in ribb *k2,p2*) Made longer & thinner ribbons, smaller band over the bow and knitted the bowpart in one piece insted of two. Put together on a piece of cardboard with nice turquoise fabric – Voilá! Congratulations Eve! 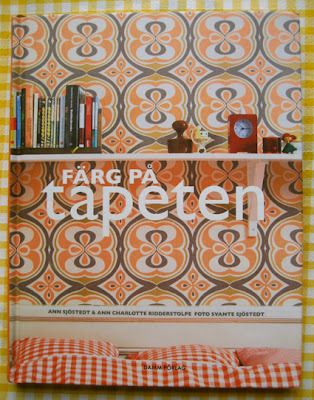 Tonights book releaseparty was for this lovely book about wallpapers. Look at the yummy front and inside! 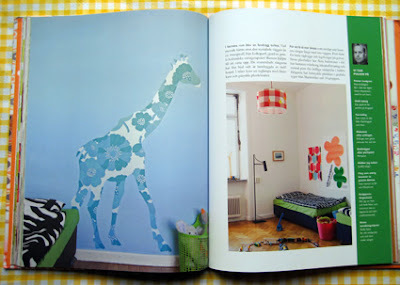 It’s made by my friend AnnCharlotte who is a fantasic interior stylist and textile/product designer. She is also one of the designers at Mingla design. Check out their website (I have made the site).